This spring I visited the Baha'i gardens in Akko (aka Acre). At the gate of the gardens, there's a beautiful marble fountain with red and white flowers planted around it. It is not only beautiful, but serves a purpose: cleansing one's mind in preparation for meditative, slow-paced walk on the garden's coarse gravel trails, and prayer inside the fragrant holy temple. You see, bathing is not merely an act of rinsing off dirt, but also bring on the clean, through the pure water that seeps through your pores; and the sound of water alone has the power to clear the mind's worries and establish a sense of peaceful calm. The Bahá’í Gardens at Bahjí in Akko was built around the historic mansion where Bahá’u’lláh, the Prophet-Founder of the Bahá’í Faith, resided during the final years of his life (he spent most of his life imprisoned by the Ottoman empire - first in prison and then in a house-arrest in this Turkish mansion near Akko - where he wrote the Kitáb-i-Aqdas - the central book of the Baha'i faith); and the shrine around his tomb. And quoting from their website: "The approach to the circular garden is a long, straight path framed with cypress trees and informal plantings. As you walk, the silence seems to grow in intensity. Entering the heart of the site is like arriving in a world of peace and serenity, a wall-less sanctuary that is protected without being enclosed. Here the formal, precise gardening flows around historic buildings and natural elements that include a centuries-old sycamore fig tree and the remains of an ancient olive grove". The style of a Baha'i garden reminds me of the Persian miniatures book I would look at for hours at my grandmother's home. Everything is very manicured and precise. Each bed is tended daily to remove old and dying flowers - which are hand collected or even vacuumed by the gardeners. Flowers are cut at their peak before they come into seed to avoid any chaos in this orderly garden. The result is a vast space with defined areas for flowers, greenery, white gravel, black pebbles... Everything is very orderly and symmetric, like the artistry of a Persian carpet. At the innermost part of the garden, there is the temple where the prophet-founder Bahá'u'lláh is buried. After removing one's shoes, one can enter this sacred space. Complete and total silence is demanded at this holy place, and touching of any of the objects is prohibited. In this total silence, you surrender entirely to the light, sights, sounds and scent of the place. It is sprinkled with copious amounts of rosewater, and together with the skylight and hanging greenery that grows towards the naturally-lit ceiling, the soft Persian rugs under one's feet, there is a sense of harmony, peace and serenity in this place. Yet, there is also a certain heaviness that is hard to quite pinpoint or explain, but it is felt - perhaps because the Baha'i faced prosecution at its beginnings in both Persia and the Ottoman Empire. Every day," Nabíl has related, "ere the hour of dawn, the gardeners would pick the roses which lined the four avenues of the garden, and would pile them in the center of the floor of His blessed tent. So great would be the heap that when His companions gathered to drink their morning tea in His presence, they would be unable to see each other across it. All these roses Bahá'u'lláh would, with His own hands, entrust to those whom He dismissed from His presence every morning to be delivered, on His behalf, to His Arab and Persian friends in the city." Visiting the gardens I learned a few things - not just about the Baha'i religion history and heritage; but also about how important it is to dedicate a space for meditation, prayer and spirituality. Making a space for that in your physical world makes it also easier to give it space in our packed and fast-paced timetables. And tying it back to spring cleaning (my seasonal obsession): As daunting as clearing and organizing one's personal space may seem, it is also truly therapeutic and a spiritual process in which you rid your home of negative and stagnant energy, and make room for positive forces to flow. Beyond cleaning, one’s home should be an oasis from the outside stresses of the world. This is why in so many Eastern cultures there is a custom of removing one's shoes before entering a place of worship, or even someone's home. In the Middle East, washing the feet was an important part of hospitality. In this day and age of fast-paced living, creating a barrier between work and rest, secular and holy is always a challenge. Using incense and candles to scent the home also creates a warm and inviting atmosphere, and ultimately forces us to pay more attention to our breath, subconsciously coaxing mindfulness into our hectic schedule, and will make us feel more connected to our surrounding. If you work from home, using a special scent at the end of the day to mark the beginning of your "off" time might also be beneficial. Additionally, burning a natural wax candle (made of bees or soy wax) candle helps create negative ions in the air, contributing to a sense of well-being and clarity of mind. Sprinkling of water - especially fragrant ones - can also be a cleansing experience, both spiritually and physically. Regardless of one's religion, or lack of it thereof - there is power to such rituals of cleansing that goes beyond what meets the eye. The intention of the action has a lot more impact than the pure science of these action (using anti-bacterial agents; or using plants - in incense or water - that symbolize those values to you: Are you cleaning your home to make it bacteria-free? Or are you doing it to make space for positivity and renewal? By the way, there is an important Baha'i holiday coming soon: the Festival of Ridván, beginning April 21st, this 12-days-long festival celebrates the public declaration of Bahá'u'lláh's mission. Malabi, a photo by Ayala Moriel on Flickr. 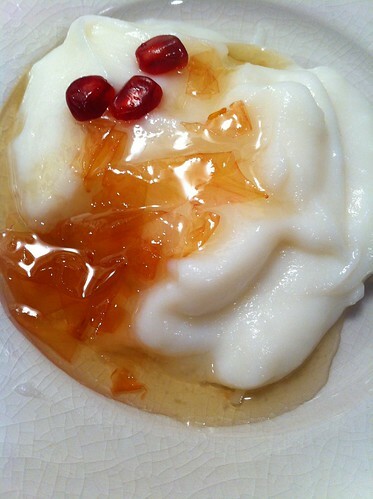 Malabi is a Middle Eastern dessert, a milk pudding thickened by rice flour, which is usually served cold like Panna Cotta. Unfortunately, most of the malabi recipes, as well as what you'll find on street corners and even in restaurants are made with the inferior cornstarch, giving it (what I think is) an unpleasant aftertaste and a rubbery texture. The dessert is made simply by cooking milk and starch as if to make a pudding. It is only minimally sweetened, if at all, and always must be flavoured with rosewater and orange flower water, which is the only thing that really sets it apart from the old fashioned baby-food that was served in the 1950's (when mothers were convinced that fattening a baby with modified starches is the way to prove that their kid is not malnourished). You may serve it warm; but the traditional recipe is for chilled malabi, which gives you room for many creative serving suggestions (i.e. : using moulds, fancy cups, garnishes, syrups and toppings). This recipe is adapted from May S. Bsisu's excellent book "The Arab Table" (p. 322) and from Israeli Kitchen. 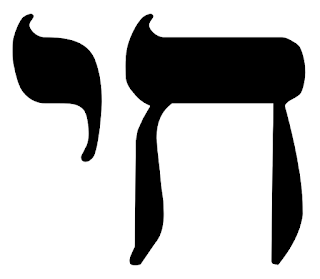 Please note that malabi has many other names and spellings (i.e. : Mohalabia, Malabia, Muhallibieh, etc.). 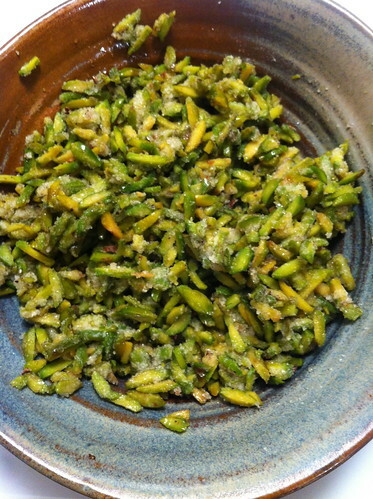 She also offers several regional variations on this dessert (for instance: whole green cardamoms and saffron strands are cooked with the pudding in Saudia Arabia), including the explanation about the Syrian and Lebanese version using rice flour instead of corn starch, which is my personal preference. Note: if you want a more gooey, jelly like consistency, use Sweet Rice flour, aka glutinous rice, which is easily obtained in Asian grocery stores. For a more wholesome variation (which is great especially if served warm) use brown rice flour. Note regarding the mastic: this resin adds to both the flavour and the texture of the dessert, making it more gooey, but also making the flavour a bit different (and it is an acquired taste). 8 Tablespoons Rice Flour, whisk and dissolve in 1/3 cup of water. Pinch of mastic resin (optional). 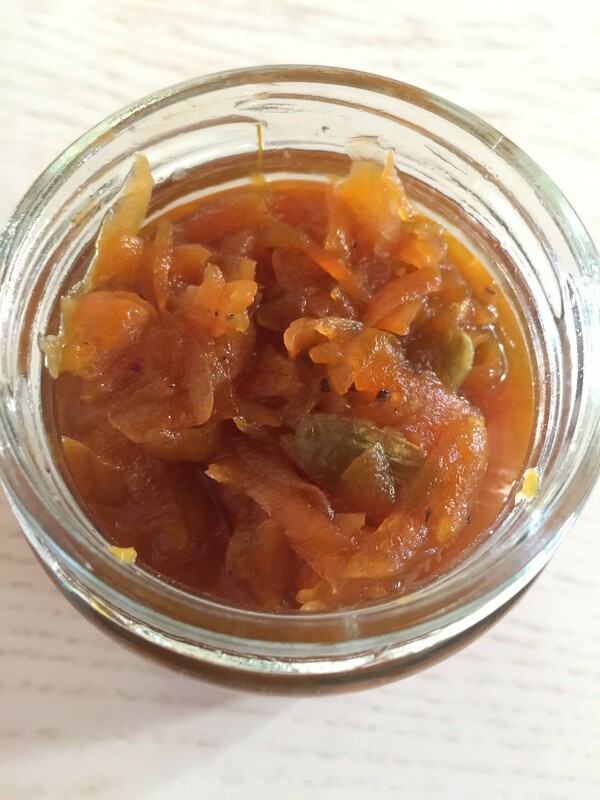 Date honey (also called molasses), Pomegranate molasses, grenadine, rose syrup or rose petal jam. Toasted, crushed, unshelled and blanched pistachios or almonds; OR fresh pomegranate seeds; OR ground cinnamon and cardamom plus crushed nuts. - In a small saucepan, begin heating the milk and sugar. - Gradually add the rice flour and water and rice mixture, and cook over medium heat and simmer, stirring continuously in order to prevent lumps from forming. - Add the mastic, if desired. - Once the mixture had thickened into a custard-like consistency (in about 5 minutes), add the rosewater and orange flower water. - Pour into small ramekins or dessert bowls, a bring to room temperature. Cover with a plastic warp and refrigerate for 2 hours. Serve with a garnish of nuts and your favourite syrup. - Please note: These do not invert well (like panna cotta), but will have to be eaten out of the ramekins, similarly to a custard or a Crème brûlée. Rosewater Buttercream, a photo by Ayala Moriel on Flickr. With Valentine's Day around the corner, and the winter greyness in full swing - there is no better timing for something bright and pink and optimistic. Rosewater buttercream, anyone? This recipe is an improvement on another one that I've tried from Canadian Living Magazine's special baking edition that came out in the fall, especially for the holiday season 2012. I love getting those special edition magazines: some of the recipes there I swear by and they have surprisingly original combinations, and are usually quite well-tested. This was an exception - whilte the buttercream frosting and the technique was fantastic; I was not at all happy with the dough. Contrasted with the soft, yielding texture of the buttercream filling - the dough must have a more flaky, absorbent consistency. Otherwise every bite will squish out the frosting before you can even get through the (rather thin, I must add) double cookie layers. So I went off and decided to give you a tried and true cookie recipe instead, which I am sure will produce finer results: it's a classic pâte sucrée recipe, taken from Dorie Greenspan's wonderful Paris Sweets. The reason I'm telling you all this is not just because I want to give due credit to the origins of my new recipe; but also to let you in my recipe baking process. I often get complemented about my "creativity" in baking; where in fact - all I do is amalgamate components that I like from different recipes in my repertoire. It's true that I stop at nothing when it comes to flavour combinations, and these can be rather daring. But as far as consistencies go, the science of baking is something I consider myself to be a complete novice at. I keep making mistakes, learning from them, and keep trying adventurous new recipes to understand who all of this works. So don't be afraid of experimenting in the oven - baking, just like cooking - can be creative and rewarding. And once you come up with your own flavour, it's already your recipe, really. You own it - and best of all: you can share the treats with friends, family and colleagues. And that's more than half of the fun. - In a food processor or standup mixer, beat the butter, salt and sugar together until smooth and creamy. - Beat in the eggs, vanilla and almond extracts, and rose absolute (if using). - Add the blanched almonds. Scrape the sides of the bowl if necessary. - Add the flour and continue beating/blending just until the dough forms moist-looking chunks and can form a ball. Avoid overworking this dough as it will affect the crumbly, melt-in-your-mouth texture! - Divide the dough into 2 balls, and roll each into a flat disk. - Cover in plastic wrap. Refrigerate for 4 hours or up to 2 days. 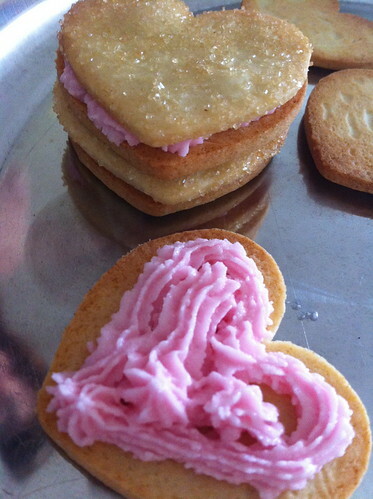 - When ready cut and bake the cookies, roll each disk into 5mm/1/4", between 2 layers of wax paper. - Chill the dough for 10-20 minutes if it has become too soft and difficult to work with. 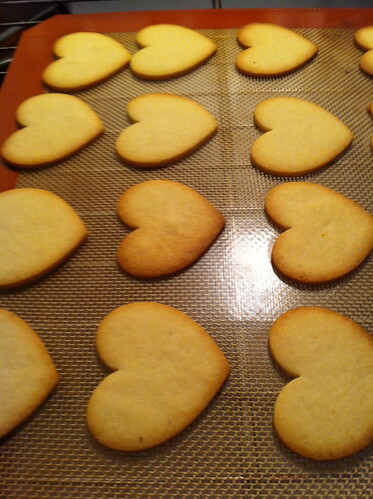 - Use heart shaped cookie cutters if you got them, a fluted round (as used for Linzer cookies), or any shape you like. Dip the cutter into flour to avoid the cut cookies from sticking to it. - Refrigerate the cut cookies for 20 minutes. 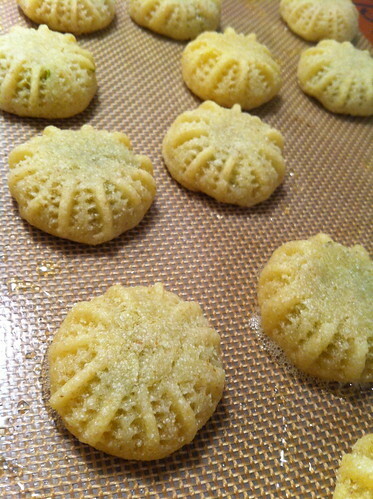 - Brush (or spray) half of the cookies with rosewater, sprinkle with coarse sugar. The other remaining half should be left alone as they are - they will be the base or bottom of the sandwiched cookies once you assemble them. - Bake the cookies for 8-10 minutes, just until the edges are slightly golden. - Place on a wired rack to dry. - Beat the butter, salt and icing sugar until completely combined. 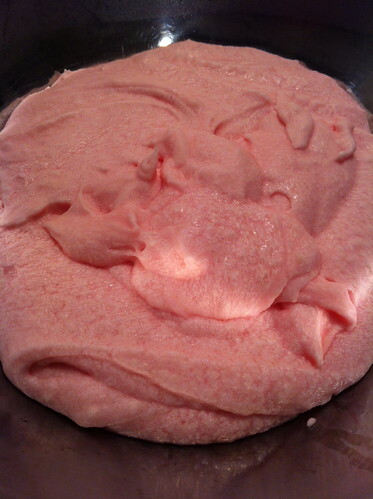 - Stir in the whipping cream and rosewater, one tablespoon at a time, beating thoroughly between additions. 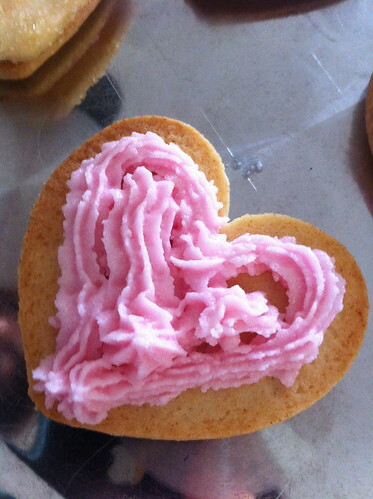 - Add the red colour and blend till it is evenly distributed and the frosting is tinted a light cheerful pink! Pipe the butter cream frosting on the cookies that do not have the sugar decoration. You may use a spoon or a butter knife if you don't have a piping bag/syringe: you will need about 1 teaspoon per cookie - place filling in the centre of the cookie, and press the sugared cookie on top so that the filling reaches the sides of the sandwich. Store in an airtight container until serving. You may store them in the fridge for up to 5 days. Just remember to bring them to room temperature before serving, for the best texture and flavour. 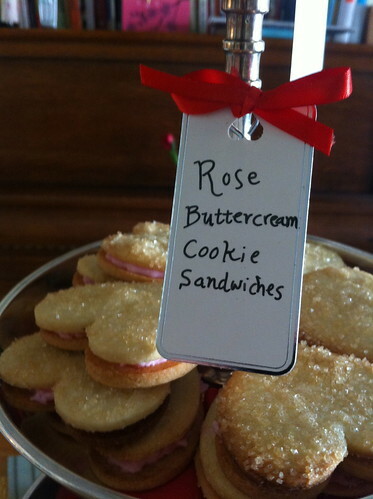 Your rosewater buttercream cookies are ready to enjoy!